Because no one's ready for this show to fade into obscurity. No one. Gather up all the friends you’re thankful for because game night just got a lot more interesting. Who ate the last piece of cheesecake? What did they leave at the scene of the tasty crime? And which room did they eat it in? 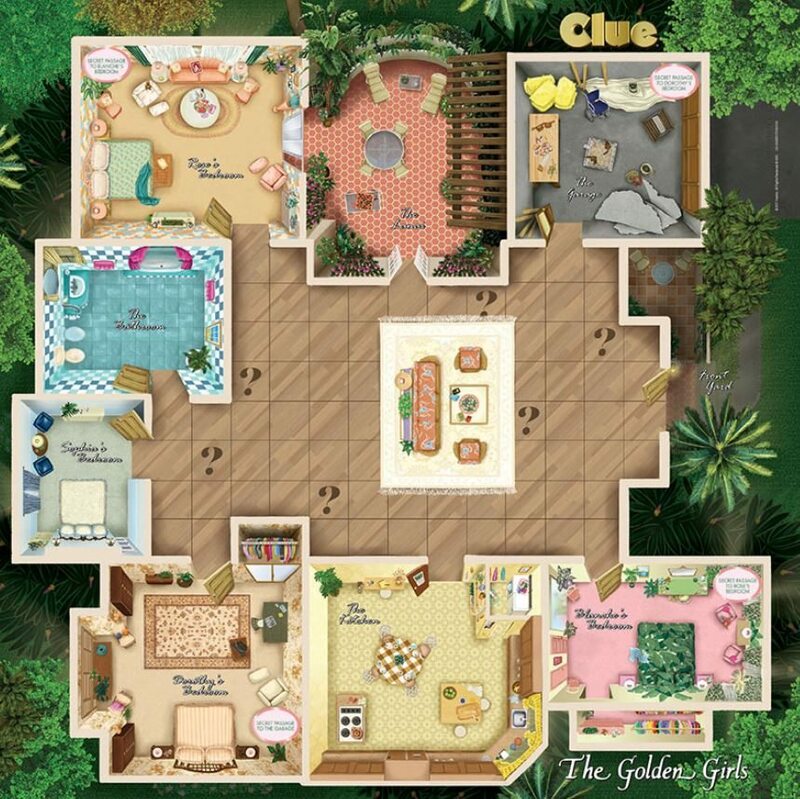 That mystery will now be yours to solve with the release of the new “Golden Girls“-themed Clue board game. There aren’t a ton of details out yet, but just like the classic game of Clue, there are suspects, weapons and locations to help you solve the crime. But unlike the original, instead of solving a homicide, the only thing being murdered here will be dessert. Players will choose between Dorothy, Blanche, Rose, Sophia and two faceless male characters as their game pieces. (Internet theories say these male characters may be Rose’s boyfriend Miles and Dorothy’s ex-husband, Stan.) Of course, the weapons are a bit different too. No candlesticks here, but instead lipstick, a shoe, a robe, a purse—you get the idea. The board itself is also amazing (and pretty much a work of art). Instead of Boddy Mansion, this game is played right in the Golden Girls’ house. Did Rose eat the cake in her bedroom or the kitchen? Or to be even sneakier, what about in Blanche’s bedroom?! We’re already obsessed. This is far from the first themed Clue game, with boards ranging from “Harry Potter” to “The Game of Thrones,” but we have to admit, we’re most excited about this one. 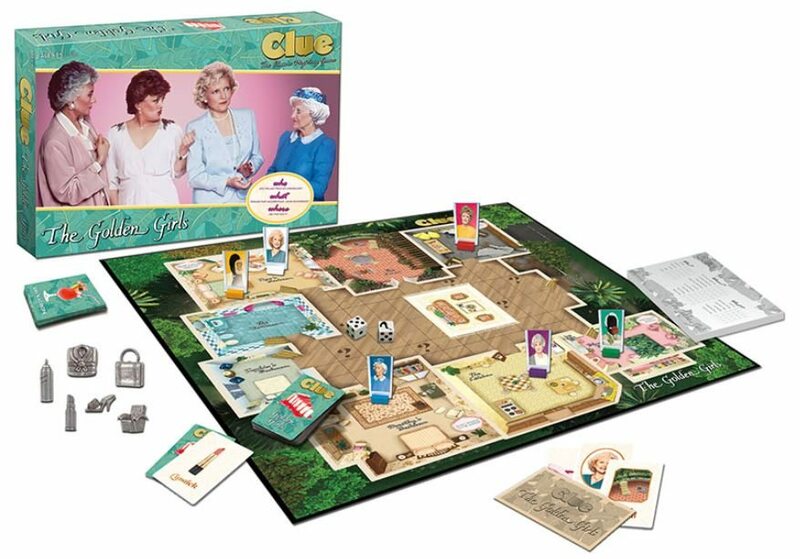 There is no release date on Clue®: The Golden Girls just yet, but USAopoly says it is “coming soon” to the United States and Canada for $39.95. Clue not really your thing? 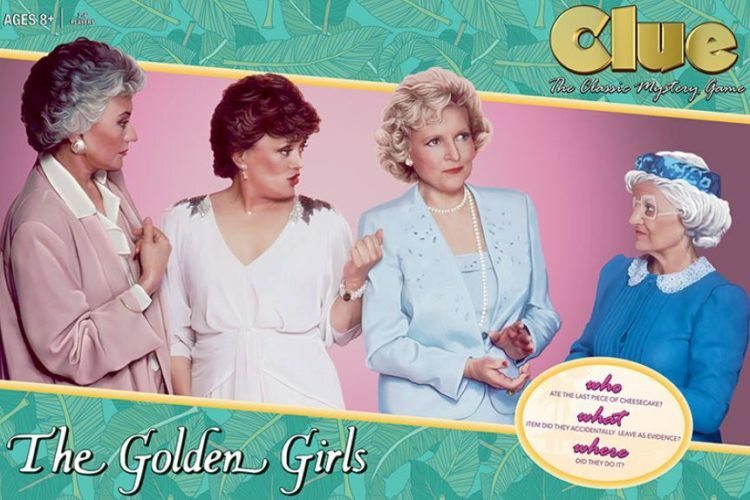 Don’t worry—the same manufacturer will also be releasing a “Golden Girls“ puzzle for $19.95, if that’s more your speed.